Everyone needs to do laundry; it’s a fact of life. While everyone does laundry, most people do not actually give a lot of thought to doing the laundry. It can often be one of those unwanted, monotonous chores that gets in the way. The most thought that most people give to laundry is to make sure that items such as bedding and clothing are clean and fresh once they have been washed. However, the detergents that are used when we do the laundry can be harmful, and that is why you should invest in nontoxic, plant-based options. Here are some potential issues associated with laundry detergent. 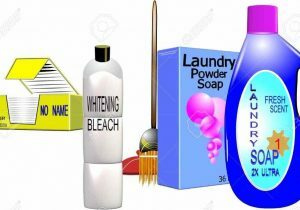 There is a reason why many detergents have a warning on the package that anyone using them should avoid direct skin contact with the product. This is because detergents remove oils, including the natural ones that we produce. This can cause skin irritation if you come into contact with some detergents. People who are especially prone to skin conditions and irritations may also be affected if they wear clothes that have been washed using the same detergent. There has been research which suggests that the chemicals found in some detergents can interfere with endocrine function in the body. This alters the balance of hormones and can lead to problems such as depression, heart disease and breast cancer. Although an impact on the environment does not directly affect the individual who uses a detergent, but it does give a cumulative effect on everyone who lives on the planet. The detergents that we use end up going down the drain and into water systems. They have been shown to cause damage to wildlife and can seriously disrupt aquatic life. Allergies to strong chemicals are on the rise overall, so it makes sense that harsher detergents can be the cause of allergic reactions in households where they are in use. You may be tempted to use a strong detergent because you want to try and keep your clothes and bedding as clean as possible, but doing so could have negative consequences. Ceasing to use a detergent is not an option for most people. This does not mean that the risks from using detergent cannot be reduced. Many manufacturers are now supplying milder, more environmentally friendly detergents. It’s also important to remember to use the proper amount of detergent. Using too much is more likely to lead to issues such as skin irritations, as deposits can remain on clothes after they have been washed. It’s worth spending time to choose a detergent that is better for the environment and for the person using it. Doing so helps to prevent health issues from occurring and protects the world around us.